Diabetes is a prevalent problem in the United States with over 29 million people living with the condition. With over 9% of the population currently living with diabetes, it is estimated nearly 2 million new cases will be diagnosed this year. This chronic condition causes significant health complications if it is not controlled because it affects the body’s ability to process sugar. In addition to overall health being significantly impacted, it can also cause complications with your dental health. When living with diabetes, your dentist in Williamsville will be crucial to helping protect your smile from the damaging consequences of the condition. When you consume sugar, your body converts it into energy. However, when diabetes is present, the hormone known as insulin, which carries sugar from the blood cells, is not at adequate levels. The lack of proper insulin levels causes serious health complications for the eyes, nerves, kidneys, heart, and several other aspects of the body. When the condition remains untreated, your risk for potentially deadly complications develop. However, it will wreak havoc on your dental health as well. Often, you feel excessively thirsty due to dry mouth. When there is less saliva, it creates the perfect breeding ground for bacteria responsible for tooth decay and gum disease. Since saliva protects the teeth, you develop a higher risk for cavities. In addition, the gums are more likely to become inflamed and bleed due to gum disease. Those with diabetes have a more difficult time healing and fighting infections. As a result, once gum disease does occur, treating the infection can be more challenging. Overall, you become more prone to various infections in the mouth. It is estimated, nearly 22% of those with diabetes also have periodontal disease. The risk for developing the gum infection when living with diabetes increases with age and those who poorly manage their diabetes. As a result, the risk for advanced forms of gum disease increases. In addition, this can also cause blood sugar levels to rise due to the infection. If you have diabetes, you need to work to control the condition. 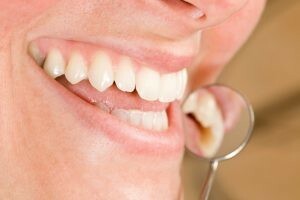 In addition, your general dentist in Williamsville will help you protect your gums from infection. You will need to practice correct oral hygiene habits at home. It is recommended you have deep cleanings by your dentist. These cleanings will help to prevent gum disease while also helping to control blood sugar due to decreased presence of bacteria. Together, you and your dentist will create an action plan as a team to keep your smile healthy. In addition to controlling your blood sugar levels, you need to reduce risk factors that increase the likeliness for gum disease, such as stopping tobacco use. You need to maintain oral hygiene and visit your dentist regularly. Living with diabetes can be a challenge. Do not let it complicate things further by increasing your odds for gum disease. If you have diabetes, schedule a consultation with our office today to create a prevention plan to protect your smile.